Arthur C. Brooks, one of the country’s leading policy experts and the president of the American Enterprise Institute, offers a bold new vision for conservatism as a movement for happiness, unity, and social justice—a movement of the head and heart that boldly challenges the liberal monopoly on “fairness” and “compassion.”Drawing on years of research, Brooks presents a social justice agenda for a New Right—an inclusive, optimistic movement with a positive agenda to fight poverty, promote equal opportunity, extol spiritual enlightenment, and help everyone lead happier and more fulfilling lives. Firmly grounded in the four “institutions of meaning”—family, faith, community, and meaningful work—it is a call for a government safety net that actually lifts people up and offers a vision of true hope through earned success. 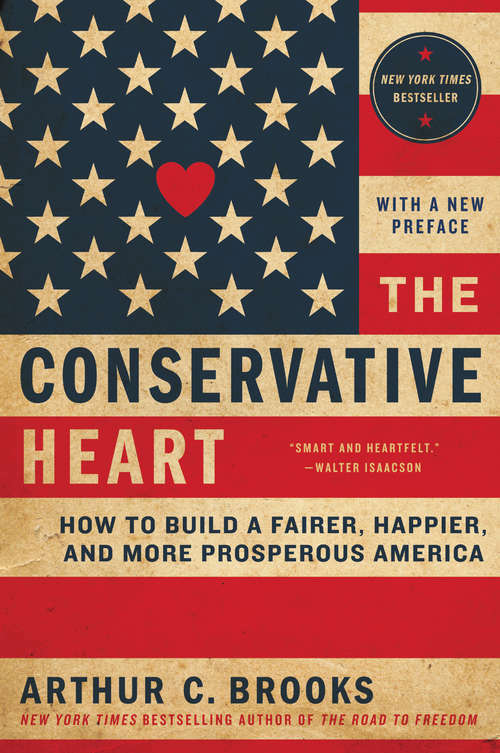 Clear, well-reasoned, accessible, and free of vituperative politics, The Conservative Heart is a welcome strategy for conservatives looking for fresh, actionable ideas—and for politically independent citizens who believe that neither side is adequately addressing their needs or concerns.